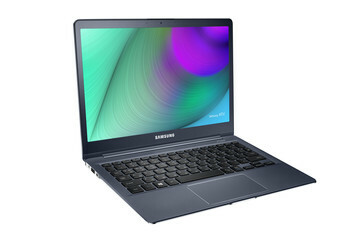 The 2015 Samsung ATIV Book 9 is a fanless 12.2-inch Windows 8.1 ultrabook that combines portability with serious processing power. With a week to go before CES 2015 kicks off in Las Vegas, Samsung went ahead and unveiled a new ultraportable Windows 8.1 laptop, the 2015 edition of the ATIV Book 9. 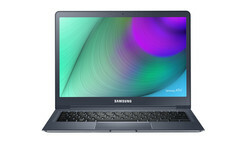 The new Samsung ATIV Book 9 is a 12.2-inch ultrabook with a premium design and build quality, as well as high-end internal hardware. The 2015 ATIV Book 9 comes with an all-aluminum body that measures 0.46 inches across the waist and has a weight of 2.06 pounds. The exact dimensions are 11.19" x 8.37" x 0.46". The 12.2-inch LED display runs a resolution of 2560 by 1600 pixels (WQXGA). Samsung claims that the maximum display brightness of 700 nits, in combination with a low-reflection coating, makes the content legible even in direct sunlight. The processing power is offered by an energy efficient and fanless Intel Core M 5Y10c paired with either 4GB or 8GB of RAM. As far as the internal storage is concerned, the Samsung ATIV Book 9 comes with either 128GB or 256GB of SSD storage space. Other specs include stereo speakers, two USB 3.0 ports, a micro HDMI port, a 720p webcam, and an integrated SD card reader. Samsung did not mention the battery capacity, although the official press release mentions that the battery should last for 10.5 hours with regular use. The 2105 Samsung ATIV Book 9 will be priced at $1,199.99 for the version with 4GB of RAM and 128GB of SSD storage space, while the version with 8GB of RAM and a 256GB SSD will cost $1,399.99. The manufacturer announced that the ATIV Book 9 will be available for pre-order starting Q1 2015.